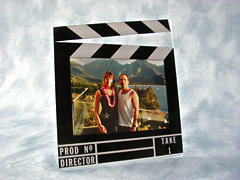 Sturdy Acrylic Clapboard Photo Frame. Approximately 6" x 7." Holds one 3 1/2" x 5" Photo.